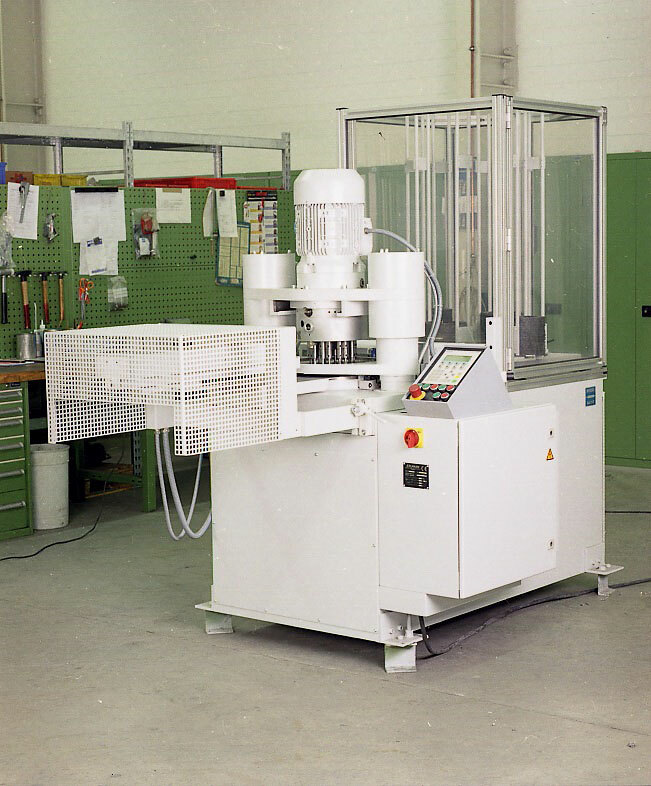 This machine has been designed for drilling and countersinking for high volume production of clutch facings. The machine capacity is about 800 pieces per hour. About 800 clutch facings can be stored in an automatic operating magazine. Two prismatic parts hold the clutch facing in the centre position. An additional clamping plate press the clutch facing against the jig. The hardened steel bushes in the jig and the clamping plate guarantee the burr-free edges of the holes. The drill chips will be exhausted through the bushes so that the drilling operation is very clean and free of dust. After finishing of the drilling step ejection will be done by a pneumatic working cylinder. 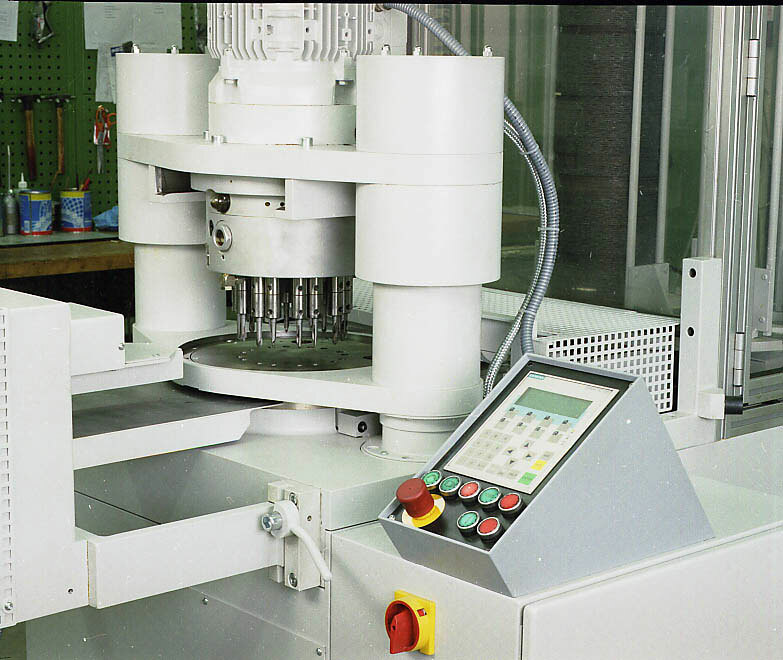 The machine is suitable for many different dimensions of clutch facings. For each different type of clutch facing suitable parts as multispindle drilling head, drill jig, clamping plate, slider- and centring parts are necessary. These parts are equipped with guide bushes and pilot pins, which guarantee an easy and accurate replacement. The complete change-over takes maximum 30 minutes. © 2019 Erlmann GmbH & Co. KG. All rights reserved.